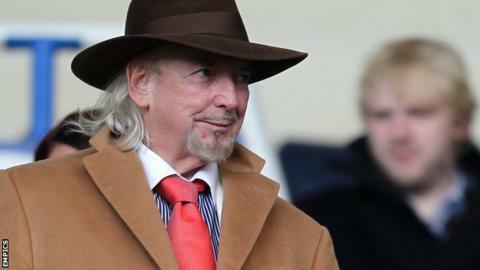 Blackpool owner Owen Oyston has ended talks with the Supporters' Trust over a possible takeover of the club. The Trust launched a £16m bid for the Seasiders in July. But in a letter on the club website, Oyston said he doubted they had the "money or the experience necessary to support the club" in its hour of need. He has been the majority shareholder since 1988, but last season saw a series of protests against the way the Oyston family run the club. Blackpool, who were in the Premier League as recently as 2010-11, were relegated from the Championship last season. They are currently 19th in League One, having won four of their 14 games so far this season under manager Neil McDonald. Launching what it described as a "fair and reasonable bid" three months ago, the Blackpool Supporters' Trust said a change in ownership was a "logical step" to try and move the club forwards. However, 81-year-old Oyston, whose son Karl is Blackpool chairman, said the Trust had "failed to respond to the questions which, if you were serious, you would have dealt with responsibly and comprehensively" and that if a takeover went ahead, the club would "go to the wall". Addressing the Trust, he continued: "It would be irresponsible of me to simply hand this over to you as it is clear to any independent observer that you could not operate it successfully. "I reiterate my admiration for your tenacity, enthusiasm, commitment and love for the club. As I have said before, these are wonderful qualities which I share with you, but these alone are not sufficient to ensure the continuance of our club." Oyston rejected a takeover offer from an unnamed "third party" in May, since when the Supporters' Trust has been at the forefront of discussions about a possible sale of the club. Earlier this month, club president Valeri Belokon, who owns 20% of Blackpool, confirmed he was interested in acquiring a controlling stake and was holding talks with local business people about a potential investment partnership. Are 'mollycoddled' British players tough enough? Read more on Are 'mollycoddled' British players tough enough?